A police officer in Windham, Maine, attempted to "pull over" two cows after they were reportedly menacing cars on Thursday afternoon. 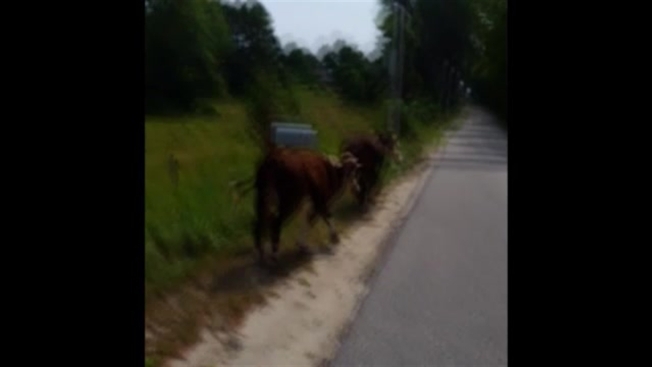 In a video the police department posted on its Facebook page, Officer Ernest MacVane attempts to deal with the cows by asking them to "pull over." The cows, however, continue walking down the road, leading the officer to call out to the cows and ask them to "stop resisting arrest."